Neiman Marcus CEO Karen Katz has addressed speculation that her company will open stores in Canada. Readers may recall that Neiman Marcus was bought by The Canada Pension Plan Investment Board and Ares Management in September 2013. Given the Canadian connection, some questioned if Neiman Marcus would open store locations in countries other than the United States. Until now, it was unclear what direction Neiman Marcus would take post-purchase. Ms. Katz discussed her company's expansion plans in Dallas during a speech given at the Weitzman Group's annual retail forecast on Wednesday, January 8th. During her speech, Ms. Katz revealed that her company plans to focus on its online business and “slow” domestic growth, and that it will bypass plans for Canada, at least for now. Some may be disappointed to learn this, though Canada’s luxury retail market is about to become substantially more crowded with the introduction of upscale American retailers such as Saks Fifth Avenue and Nordstrom. 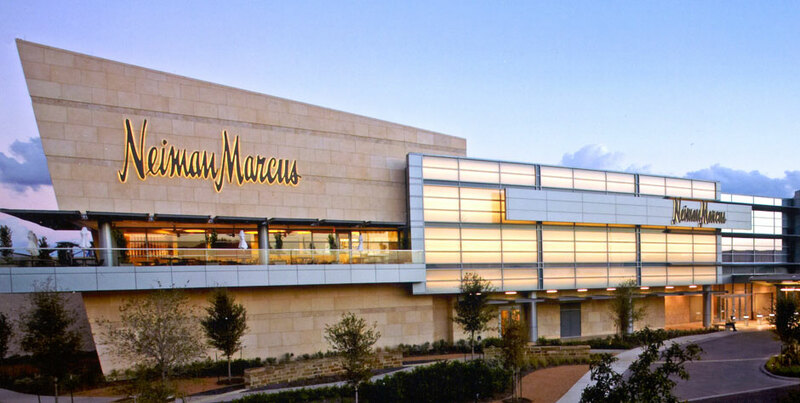 Dallas-based Neiman Marcus has over 40 full-sized American department stores, including several productive flagships of over 200,000 square feet. It also owns New York City’s 316,000 square foot Bergdorf Goodman store. Neiman Marcus stores are typically in the 100,000-150,000 square foot range and the company is considered to be a premier luxury store. Regarding international expansion, Ms. Katz said: “My greatest dream would be to have a few stores across the world, but it would be very difficult to envision that over the short term. That would be the hardest thing that we could ever try to pull off." Neiman Marcus will instead focus on its $1-billion-a-year (and growing) e-commerce business, which now accounts for about 22% of its sales. Interestingly, Ms. Katz says that the customer who shops both online and in-store spends four times as much as a “single-channel shopper”, who only shops either online or in-store. Neiman Marcus will also concentrate on its ‘Last Call’ discount chain as well as its lower-priced ‘Cusp’ stores as part of its domestic growth strategy. The 40-day "go-shop" period is over, and The Hudson's Bay Company (HBC) now owns Saks Fifth Avenue. After its purchase by HBC, Saks had 40 days to consider other takeover options. HBC can now move forward with expanding Saks into Canada, as well as determining how it will maintain expanded operations. HBC paid a lot of money for Saks at a time when North American luxury spending appears to be on a slight downturn. Some experts we've spoken to say they're concerned about HBC's future, as it has assumed Saks' substantial debts. Hopefully a real estate investment trust spinoff will allow for business to succeed, including much needed capital improvements to Canada's Hudson's Bay stores. Despite the prestigious Saks Fifth Avenue name, we don't consider Saks to be America's top luxury department store. We'd give that title to Neiman Marcus. Neiman's consistently earns more money per square foot than Saks, and has closed far fewer stores over the years. Saks has opened, then closed, a substantial number of stores since the 1990's. Neiman Marcus has also secured more luxury concessions than Saks, including boutiques for Giorgio Armani Black Label, Van Cleef & Arpels, and Tom Ford's men's and women's ready-to-wear. We can now expect more concrete answers as to where Saks Fifth Avenue's first Canadian locations will be. We'll be watching closely and we'll report any findings immediately, so keep reading. "Hudson's Bay Company", "Hudson's Bay", "Neiman Marcus"
Yesterday, Neiman Marcus was sold to the Canadian Pension Plan (CPP) Investment Board and American private equity partner Ares Management LLC (they acquired majority ownership of Neiman's for about $6 billion). Despite new Canadian ownership, we don't expect Neiman Marcus to open in Canada unless it takes over Holt Renfrew's store locations. CCP's purchase of Neiman Marcus makes for a substantial number of international department stores owned either wholly or partly by Canadian companies. Well, sort of. Selfridges Group, owned by Canada's Weston Family, owns Holt Renfrew and Ogilvy as well as Selfridges in England, Brown Thomas in Ireland and de Bejenkorf in the Netherlands. The Hudson's Bay Company (Canadian, but now mostly American owned) recently bought Saks Fifth Avenue, and it already owns American retailer Lord & Taylor. Dallas-based Neiman Marcus has over 40 full-line American stores, including several productive flagships (some over 200,000 square feet) and New York City's iconic Bergdorf Goodman store. The only way we think Neiman Marcus would even consider opening in Canada is if it were to buy Holt Renfrew's Canadian store locations. Holt's largest stores are about the same size as Neiman Marcus stores. Even if Neiman's bought Holt's, Neiman's would face a disadvantage to Saks - Saks will initially pay no rent for its Canadian store locations as they will be located within Hudson's Bay-owned real estate. Holt Renfrew rents most of its store space. If Neimans took Holt's stores, we think it would only want the following six Holt Renfrew locations: Vancouver, Calgary, Toronto (Bloor Street, Yorkdale Shopping Centre and Square One in Mississauga), and Montreal. Holt Renfrew's Edmonton, Ottawa and Quebec City stores are too small for Neiman Marcus, and it would be too expensive and complicated to expand these to a Neiman Marcus-sized 100,000-125,000+ square feet. This isn't the first time in recent history that upscale American department stores have been owned by Canadians. In the mid 1980's, Robert Campeau took control of Federated Department Stores and Allied Department Stores, including Bloomingdale's. However, Campeau was responsible for their subsequent bankrupcy. Holt Renfrew's "new generation" stores will be in excess of 120,000 square feet, making them similar in size to or even larger than recently opened Neiman Marcus stores. We are providing a comparison of store sizes. Where applicable, we are linking the Holt Renfrew stores to previous Retail Insider articles describing their sizes and other store details. Holt Renfrew stores and Neiman Marcus stores are quite similar. Both carry many of the same upscale designers and designer shops-in-store. Both have more recently included simple, bright interiors with plenty of open space. Toronto (Yorkdale Shopping Centre): 121,000 square feet +, expansion finished summer/fall 2013. Toronto (Bloor Street flagship): About 185,000 square feet with a significant expansion proposal in the works. An existing 33,670 square foot Holt Renfrew store at Toronto's Sherway Gardens will close in the spring of 2016. It will be replaced by the Mississauga location mentioned above. As can be seen, there is a significant difference in store sizes between the older, smaller Holt Renfrew stores and the newer locations (and the older Toronto Bloor Street flagship store) that are all in excess of 120,000 square feet. It would appear that Holt Renfrew is opening similarly-sized stores as Neiman Marcus. Interestingly, Neiman Marcus stores tend to carry more home furnishings, children's items (clothing and toys), restaurants and jewelry than Holt Renfrew stores. This lends the notion that some Holt Renfrew stores now offer a larger square footage to fashion brands than many newer Neiman Marcus stores. Holt Renfrew's recent tendency towards opening larger stores lends itself to being a world-class retailer. And with revenues close to $1000 per square foot, Holt Renfrew stores enjoy a level of productivity greater than almost all North American department stores. We'll be following up this article with various articles on Holt Renfrew, including its previous stores and sizes, sales revenues, expansion plans, and a comparison between it and other similar retailers around the world. We'll also be doing analysis pieces where we see improvements that can be made to Holt Renfrew's business model. We can say that, so far, the company appears to be on the right track to become a $1 billion per year retailer within a couple of years. We're announcing with some sadness the July 2013 closing of the 118,000 sq ft Neiman Marcus store in Downtown Minneapolis, Minnesota,. This comes after the closing of the full-line Saks Fifth Avenue store in Downtown Minneapolis in January 2005. We have a soft spot for Downtown Minneapolis. During our formative years, Minneapolis sparkled with such great department stores as Dayton's, Donaldson's and later Saks Fifth Avenue and Neiman Marcus. We got some of our first tastes of glamour strolling the Louis Vuitton, Oval Room luxury salon and Chanel boutiques at Dayton's, the glamorous escalators of the multi-floor Saks, and the subdued elegance of Neimans. After Neiman Marcus closes, all that will be left in Downtown Minneapolis is Macy's in the former Dayton's space. Sure it has Vuitton and The Oval Room, but it lacks the class and customer service of its former Dayton's nameplate. This is yet another sad decline not only in American retailing, but with American cities in general. All but a handful of American cities continue to maintain vibrant downtowns, and we wave goodbye to Minneapolis as it has now become just another American city with a downtown devoid of decent retailing. "Chanel", "Dayton's", "Louis Vuitton", "Minneapolis", "Minnesota", "Neiman Marcus", "Oval Room", "Saks Fifth Avenue", "United States"
Nordstrom has opened a new accessories boutique at its Downtown Seattle flagship store. Over the past few years, Nordstrom has taken to opening 'hard-shops' in its more productive locations. These hard-shops are designer-dedicated, specifically-built spaces to display various designer wares. As of late, Nordstrom has been competing with retailers Neiman Marcus, Saks Fifth Avenue and Bloomingdale's at the top-end of the hard-shop game, recently opening boutiques for Chanel, Gucci, Prada, Dolce & Gabbana, Marni, Yves Saint Laurent, and others. Some boutiques carry only accessories, while others include ready-to-wear. While Nordstrom typically caters to a less-wealthy customer than, say, Neiman Marcus, Nordstrom has been attracting more wealthy shoppers as well as 'aspirational' shoppers looking to purchase designer pieces. Nordstrom has met this demand with expanded accessory offerings, some of which are contained in newly-added hard-shops. "Bloomingdales", "Chanel", "Gucci", "Neiman Marcus", "Nordstrom", "Prada", "Saks Fifth Avenue", "Seattle", "United States", "Yves Saint Laurent"